With less than a fortnight to go, the election campaign is at it’s peak. Ministers are seen attending the common man’s funeral, wedding, anniversary and what not. 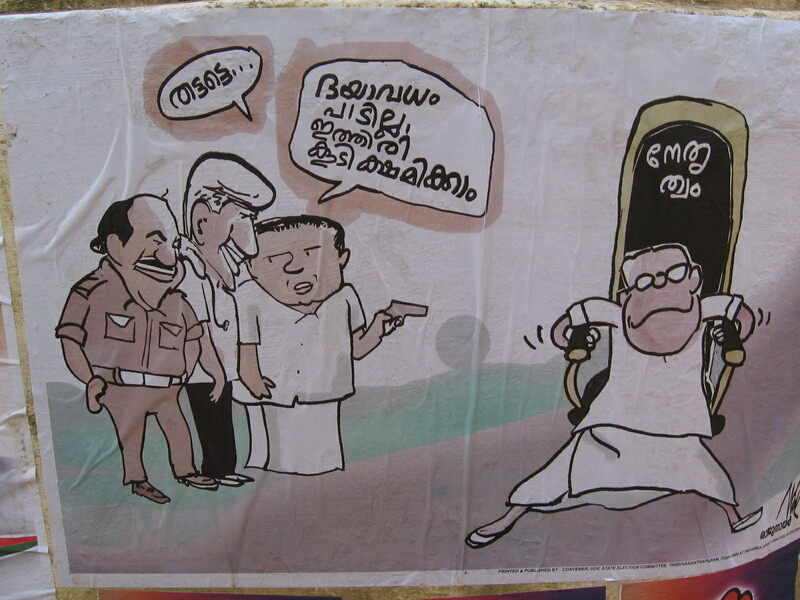 I woke up today morning to a poster stuck outside my house – hilarious..
our one and only Achumama! 6 30 pm: Megashow – dance and music. Mostly will head over in the evening to just round up the scenario there. P.S This article was posted in ManipalBlog.com today –4/2 – Is this gonna be THE DAY?